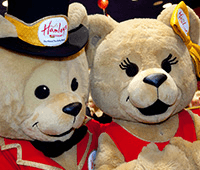 first step on the piano to achieving BIG things with us at Hamleys. At Hamleys we are dedicated to taking toys and play time very seriously, so that no one else has to. Sounds like a pretty cool career? It is. Check out our current vacancies and apply today!